But as I discuss in my book about the watershed year of 1995, Simpson’s acquittal was certainly justifiable and perhaps inevitable, given how thoroughly his defense team impugned the prosecution’s evidence. This is not to say that Simpson was innocent: Most assuredly, he was not. At a civil trial in 1997, he was found liable for the killings, which occurred June 12, 1994, outside Nicole Simpson’s townhouse in the Brentwood section of west Los Angeles. But the criminal trial — which spanned much of the year, from late January to early October 1995 — was a spectacle in which Simpson’s lawyers, led by Johnnie L. Cochran, often outmaneuvered the prosecutors, keeping them off-balance and forcing them on occasion into jaw-dropping errors. The most stunning of those failures came in June 1995, when one of the prosecutors, Christopher Darden, asked Simpson to try on the blood-stained leather gloves that the killer was believed to have worn in attacking Nicole Simpson and Goldman. And they did, after deliberating less than four hours. Simpson never took the stand in his defense. Bungled police work also undercut the prosecution’s case — which lacked a murder weapon, a persuasive motive, and witnesses to the crimes. Prosecutors did have substantial DNA evidence in the blood stains and droplets that pointed to Simpson’s having been at the scene of the crimes. During cross-examination at the trial, Simpson lawyer Barry Scheck did not challenge the validity of the science supporting forensic DNA evidence. Rather, he challenged how the evidence was collected. Scheck extracted acknowledgements from police criminalists that in the Simpson case, they mishandled or overlooked DNA evidence. The inept and questionable police work allowed the defense to argue that Simpson was framed by Los Angeles police. It was an far-fetched argument, but not utterly implausible, given the series of screwups in gathering and handling DNA evidence. The screwups impugned the evidence that otherwise might have convicted Simpson. 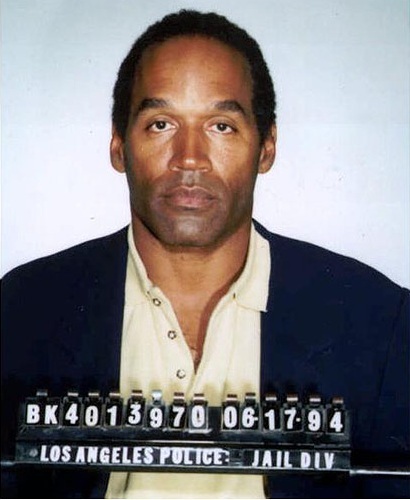 In the end, the most important and lasting contributions of the Simpson case centered around DNA: The trial helped settle disputes about the value and validity of DNA evidence in criminal cases. The trial also anticipated and arguably enhanced popular interest in the potency of DNA testing. This entry was posted on October 3, 2014 by W. Joseph Campbell in Anniversaries, Scandal, Simpson trial, Watershed year and tagged 'Trial of the century', 1995, DNA, O.J. Simpson, Watershed year.